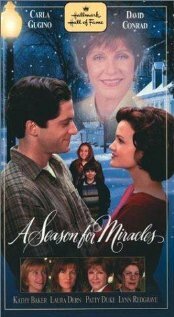 Last night after being at our daughter’s home for Thanksgiving – we came home, Greg built another roaring fire and we sat down to watch another Christmas favorite, “A Season For Miracles”. I love this story. It is about second chances and guardian angels. It is about children finding restored safety and happiness and for a flawed system giving back and doing what is right. It is about community pulling together and getting behind a cause. Oh and just as a side note, I think that Laura Dern does an AMAZING job as the unfit, druggie mom. I have never seen her play something this edgy and she’s really convincing!